To drum & bass fans the world over the names Calyx & TeeBee are synonymous with high quality, perfectly sculpted music. Just as Michelangelo discovered statues in blocks of stone, so Calyx & TeeBee discovered the essence of D&B locked away in studio equipment; always forward-thinking and packed with as much integrity as energy; their music has had an impact on the scene for over fifteen years. 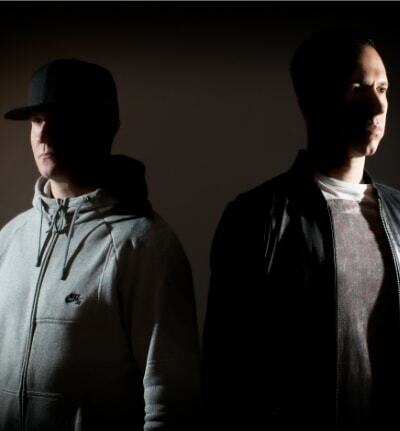 While Calyx & TeeBee’s first collaborations emerged in 2004, their history and friendship dates back to 1998 when they were introduced as label-mates of the legendary Moving Shadow imprint. They were also responsible for creating the music for the Let It Roll 2017 Opening Show.